If you followed the group Tinariwen on their epic journey from their first release (still in my opinion the most interesting, but probably the least accessible to desert blues virgins) you’ll really appreciate the way their music has evolved and managed to reach an ever growing fan-base. Toumastin’s second album, probably hidden from view due the publicity that Tinariwen has achieved in these years, is less strong than their first. For Tinariwen fans that track that is going to get the most traction is The best track has to be “Tarhamanine Assinegh”, with its rolling groove. There a promotional video on the rights that brings a flavour of what to expect on the album. Since the 1970s Angola’s Bonga has featured prominently in the nations music and this is yet another epic slab to hit the World Music scene drawing on performances and works that span his 30 year career. For me Portuguese is one of the most interesting of all languages for music to be sung in, there is just something about its pronunciation and intonation that makes it fabulously interesting to listen to. 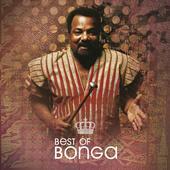 If you enjoy the sounds of Sara Tavares, Myra Andrade (who’s new album Storia Storia will soon be reviewed here too) or, the melodies of Madagascar’s Modeste, you’ll find that the Best of Bonga will sit comfortably in your collection. 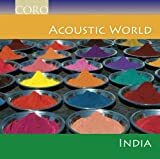 The world knows Indian music, but Konkani songs are truly unique with a blend of many musical facets. It is western music and yet it is still Indian – true soul music that touches your heart. This compilation contains 22 tracks of the finest the genre had to offer in the 50’s and 60’s, including tracks from Alfred Rose, Lorna, Chris, Perry, Robin Vaz, and many more. This book is an ethnomusicological investigation into traditional and contemporary music in Corsica, with a critical analysis of associated theoretical and ideological issues, focusing particularly on the evolution of musical activity and discourse since 1970. In other words, this book is a deep exploration of culture and music on an Island steeped in tradition and told through song. Fantastic! The Ragas and Talas have, over the centuries in India, dominated the lives of musicians that have decided to commit them to memory with spiritual devotion. There is no standardized method of notation and it’s “out-there” sounds has largely to do with the fact that the notes cannot be found on the western Piano. The CD presents two geographically divided sounds, that of Hindustani and Carnatic, and is played by some of the most revered gurus of today. As we find so often, age has no boundaries in World music. One of the artists featured, Girija Devi celebrates her 80th birthday this year and is one of India’s most celebrated singers in this discipline. This album plugs you into a world that is aurally alien to western style harmonies and is a real journey of the senses.